What is the best practice on choosing how many key derivation function (KDF) rounds/iterations when generating an SSH key pair? Am I correct in saying that it is unnecessary if the passphrase is strong enough? Is there some kind of formula for how long it would take to crack a private key given the passphrase length and KDF rounds? My guess is that the default value of 16 for when generating an Ed25519 key is small enough to be almost imperceptible for normal use (logging into a server from the command line), but adds significant expense to any brute force attempts. I'm wondering if it's worth increasing it. -a 1000 Took about ~20s. -a 100 Varies between ~3.5s to ~6s. -a 64 (4x default value) ~3 to ~9s. -a 16 (default) ~2s ~2.5s. In the end I just stick with the default since I'm not a paranoiac and I don't like to wait, however I did found in my research a value of 100 is not uncommon to choose. 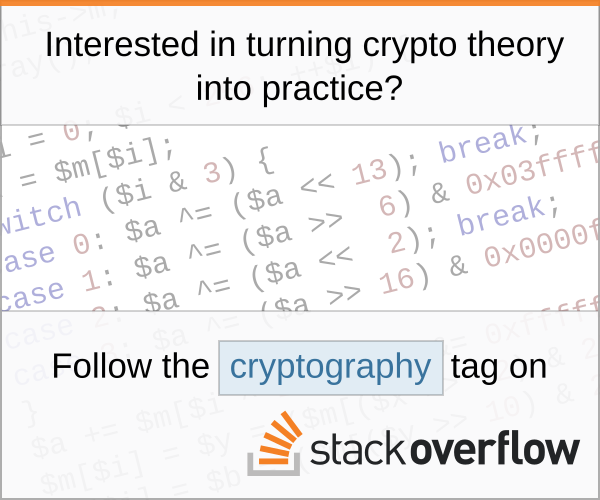 The new format uses bcrypt_pbkdf() to derive the symmetric key. This behaves slightly differently from normal bcrypt when it comes to the work factor. Since the cipher is rekeyed 64 times per iteration, the default of 16 rounds will perform 1024 rekeying operations in total, which is equal to original bcrypt with a work factor of 10. You can read more about choosing the number of KDF rounds here. The time is linear, so you can expect a doubling of the -a value to take twice as long. The default takes about a quarter of a second on a reasonable i5 CPU in 2018 (and CPUs aren't getting much faster anymore). Not the answer you're looking for? Browse other questions tagged public-key passwords key-derivation brute-force-attack ssh or ask your own question.